I Wish is one of those masterpieces, leaving you full of hope and happier than ever at its end. 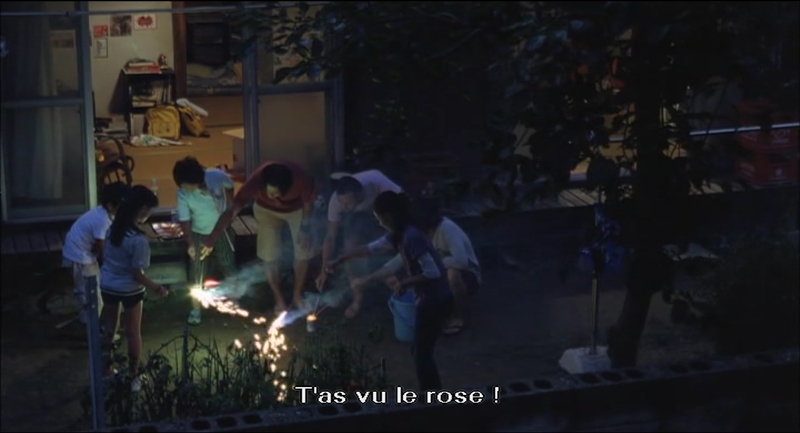 Japanese director Hirokazu Koreeda, refilled me with children hope, determination and dreams. With his sleek, intimate film, he gently and slowly, disarms you, entrusting you to children. (Real) brothers Kohichi (Kohki Maeda), who’s the oldest, and Ryu (Ohshiro Maeda) are leaving apart from each other, because of separate parents. Kohichi leaves with their mother in Kagoshima and Ryu with their father in Osaka. The elder dreams of seing his family reunited, he cannot be fully happy because of this, and isn’t understanding how his younger brother is able to have fun and take the whole situation this lightly, while he’s constantly thinking and trying to find a way to reconcile their parents. Anyway, one day he hears a rumor saying that a new high-speed train is about to get into the rails, and it will meet another train on a double track. Whoever assist to their encounter, and make a wish at that specific time, will see it come true. Starts the journey of Kohichi planning the whole thing with enormous energy and determination, boarding his friends with him, and his brother (who will also take his friends along with him). 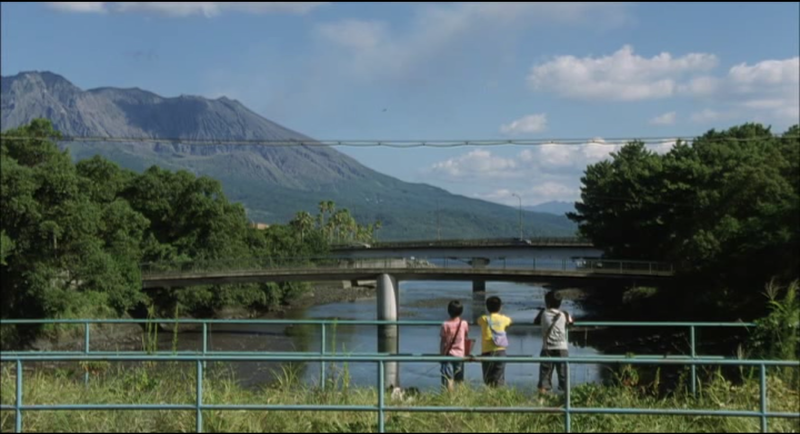 The director takes us into the very intimacy of families, we enter a community or two communities actually, Kagoshima’s and Osaka’s. With a beautiful dreamy soundtrack, and a sleek photography, we wander between habits of our characters and the beautiful landscapes they live in; the Sakurajima volcano of Kagoshima and the multiple city lights of Osaka. However, we are primarily seing the events from Kohichi’s point of view, and experience the same things. Our little guy is feeling trapped into this broken family, desperately trying fit two pieces of the destroyed puzzle of his life. And he doesn’t understand why people are still living in this town with this big threat that the volcano represents, along with its ashes brought by the wind, symbolizing the rests of his destroyed home. He doesn’t understand a multitude things, and give it a lot of thoughts. 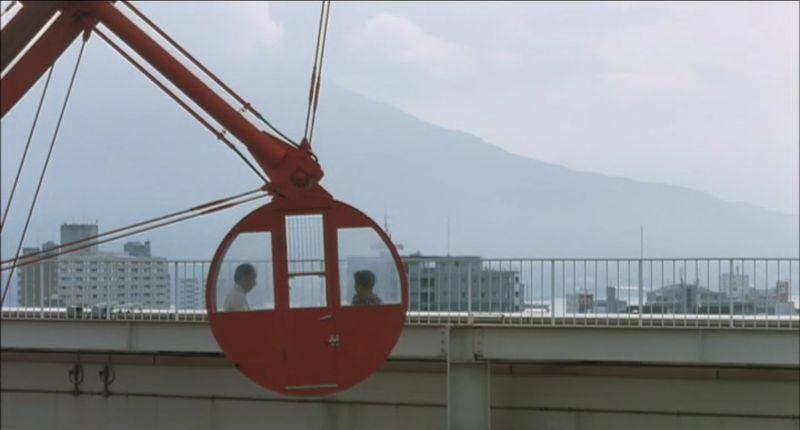 Koreeda is using in his movie various opposed shots, jumping from an open space to a closed space and vice versa, in order to highlight the differences between expectations and dreams of Kagoshima’s and Osaka’s population, professionally speaking. For example, Kenji (Joe Odagiri) the father of the two boys, is hoping for a rockstar career, and Ryu’s friend Megumi (Kyara Uchida) wants to become an actress, whereas, Kohichi’s friends Yu (Ryoga Hayashi) and Shin (Hosinosuke Nagayosi) dreams of marrying the same teacher. 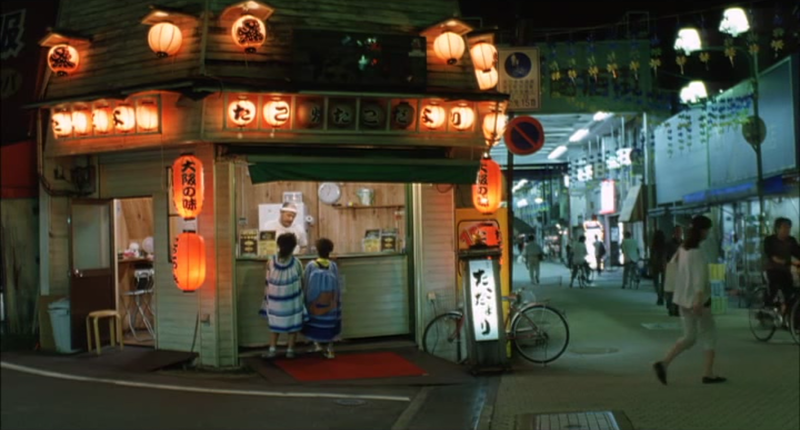 A beautiful scene shows this gap; Kohichi calls his father from his small balcony, and at this moment, Kenji was heading home, and was walking along a river. Closed spaces/open spaces. But at the end, I Wish gives us a life lesson; better to choose the world, as it is. It is better to manage things as they are, and not trying to fix an irrecoverable thing. And doesn’t people say: out of the mouth of children comes the truth?